The new Kobe 9 that was announced last week got a lot of hate from everywhere because of the non existant low top silhouette that has become a favorite amongst many sneakerhead and ballers everywhere. 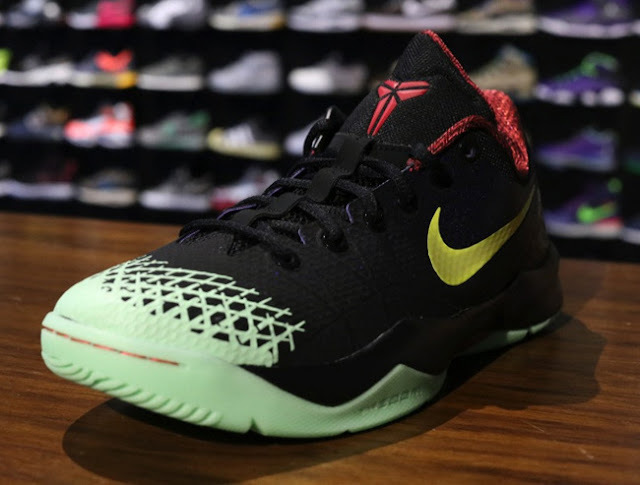 If your looking for a little more low top love then take a look at this new Nike Zoom Kobe Venomenon 4 in a nice "Glow in the Dark" makeup. With a Friday the 13th release date, 12-13-13, these glow in the dark soled versions also have a black upper with lemon, purple and yellow accents. Look for these at select Nike retailers and online at Oneness on 12/13/13 and continue below for some additional detailed shots.